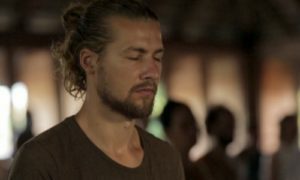 The Hridaya Teacher Training Course (HTTC) takes place at the Hridaya Yoga Center in Mazunte, Oaxaca, Mexico. It is a systematic and comprehensive approach to meditation and Hatha Yoga. All the Hridaya Teacher Training Course content, totaling more than 900 pages, presented in monthly booklets. At the end of the course, all graduates will receive the HTTC Kit. This contains an additional booklet with advice and recommendations for Hridaya teachers, some inspiring e-books by Ramana Maharshi, audio files of HTTC lectures, PowerPoint presentations to accompany the lectures, audio and video recordings of an entire 10-Day Hridaya Silent Meditation Retreat, and other useful materials. A survey of the main meditation traditions throughout history—Theravada Buddhism, Tibetan Buddhism, Zen, Christianity, Isihasm, Sufism, Hasidism, etc. The ABCs of meditation: proper postures for meditation, mudras for meditation, favorable moments for meditation, the importance of stretching and relaxation for meditation, benefits of meditation, etc. Pranayama for calming the mind: rhythmic breathing theory in pranayama, nadi shodhana for meditation, etc. An extensive presentation of and practical guidance in several kinds of meditation: atma vichara (the Self-Enquiry Method of Ramana Maharshi), mahamudra, and walking meditation. Practical guidelines for meditators: how to overcome hindrances during meditation, advice for meditators according to their dominant dosha (one of three bodily humors that make up the constitution according to Ayurvedic medicine), the phases of a meditation retreat, etc. Extensive explanations of Ramana Maharshi’s teachings, including Self-Enquiry (atma vichara), The Spiritual Heart, Bringing the “I”-feeling back to its source, sphurana, etc. Hridaya Yoga—metaphysical principles and basic concepts,including: Hridaya Hatha Yoga, the Spiritual Heart’s significance, mastering the four fundamental attitudes of Hridaya Meditation, surrender (a fundamental key on the path of Self-revelation), spanda, the “Sacred Tremor of the Heart” (a concept from Kashmir Shaivism used in Hridaya Meditation), the gaps between thoughts, Open Concepts, Open Attention, etc. Methods to increase concentration: trataka, etc. Methods for developing awareness: Capturing the Uncaught Mind, micro-practices, the ultra-slowing of physical and mental activities, etc. Methods for awakening the Heart: Blowing upon the Embers of the Heart, Tonglen, etc. Hridaya teaching methodology: how to teach Hridaya concepts, how to teach Hridaya Hatha Yoga, etc. Successful completion of this 500-hour course grants participants permission to teach Hridaya Meditation and Hatha Yoga anywhere, with support materials and guidance provided. This course is open to a maximum of 33 participants. To apply, submit the Application Form, including a recent photo. Applications will be considered complete once the deposit is paid. If spaces are available in the course one month prior to the closing of enrollment, hopeful participants on the waiting list will be notified that they may join the HTTC. The course fee is 2800 Euro. Please note that we no longer receive deposit payments nor receive payments through PayPal. For complete information regarding fees, please visit our Payment and Refund Information page. The HTTC will be held six days per week, Monday to Saturday, approximately 8.5 class hours per day. Vegan food is served in our dining room daily for a reasonable price. The communal eating area is open for everyone to enjoy meals together. Accommodation on-site and in the area ranges from 4,000-10,000 Mexican pesos per month. For information about accommodations at the Hridaya Yoga Center, visit this page. For information about off-site accommodations in Mazunte and San Agustinillo, visit this page or consult www.tomzap.com. The HTTC deposit may be made in euros via bank transfer. The remainder of the course fees may be paid via bank transfer. Complete payment information is listed on the application form. We require participation in at least one 10-Day Hridaya Silent Meditation Retreat and the completion of the Hridaya Yoga Retreat: Module 1 Intensive prior to applying for the course. Applications may still be submitted up to one month before the HTTC begins. However, after the initial selection process there will be significantly less of a chance for acceptance to the course. The approval to join one year’s waiting list does not confer automatic acceptance to a future Hridaya Teacher Training Course. In such cases, the applicant is welcome to reapply for a future course. Contact ttc@hridaya-yoga.com with any questions or for more information.